Ousmane Dembélé (France): The French winger played a total of 67 minutes in his country's 2-2 friendly draw against Iceland. He also came on in the 86th minute of the 2-1 UEFA Nations League win over Germany. Marc-André ter Stegen (Germany): An unused substitute for Germany's 3-0 win against Holland and loss to France. Jasper Cillessen (Holland): Played all 90 minutes of both games during the international break: Against Germany and in a 1-1 draw with Belgium. Thomas Vermaelen (Belgium): Although he started the Nations League game against Switzerland, he was taken off injured on 73 minutes. Sergio Busquets (Spain): A substitute in a friendly against Wales (1-4) and given a starting role to play the entirety of the 2-3 loss to England. Ivan Rakitic (Croatia): After playing all 90 minutes of a 0-0 draw against England, he was rested fot the 2-1 friendly win over Jordan. Arturo Vidal (Chile): Featured for 90 minutes in two friendlies: Against Peru (losing 3-0) and in a 0-1 win against Mexico. Philippe Coutinho (Brazil): Starting for Brazil against Saudi Arabia (winning 0-2), he was subbed off on 72 minutes. In the 'Superclásico' against Argentina, he helped his country to a 1-0 win. 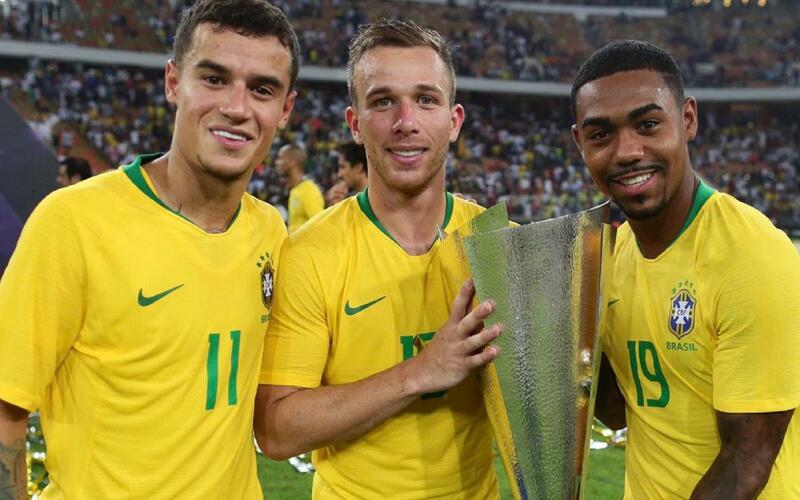 Arthur Melo (Brazil): The player to come on for Coutinho against Saudi Arabia. Like his Barça teammate, he played 90 minutes against Argentina. Malcom Oliveira (Brazil): A sub in both games for Brazil, as he was called up for the squad for the first time.